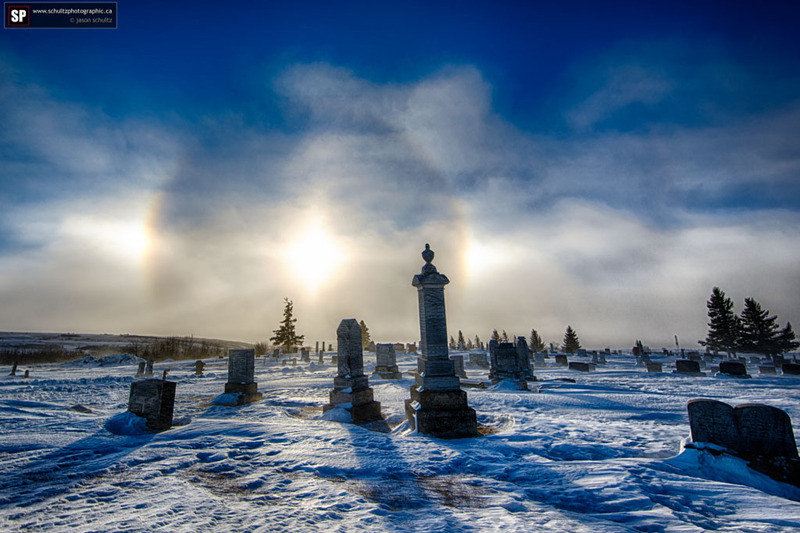 It was only -38 with the windchill today so I thought I’d go and do some HDR photography… I’m insane. But it’s true, the worst weather often gives the best opportunities for making photos. 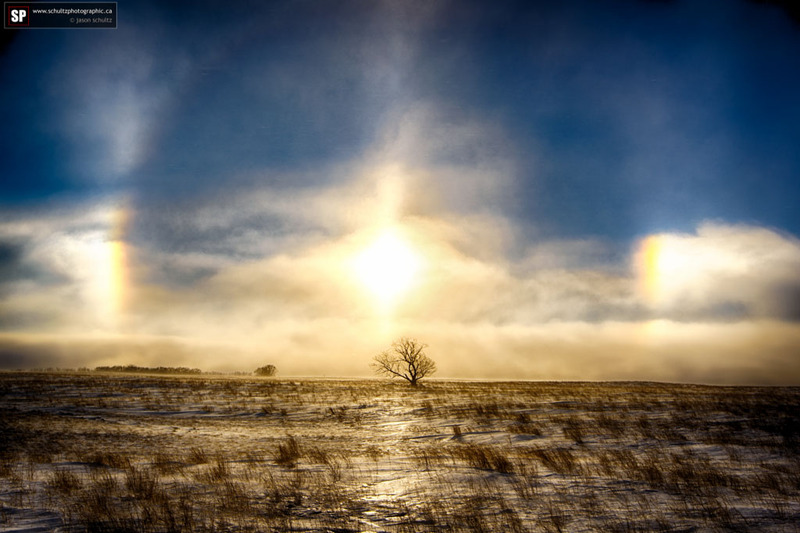 We had killer sun dogs again today as the weather was diabolical. I actually didn’t really set out to do HDR. 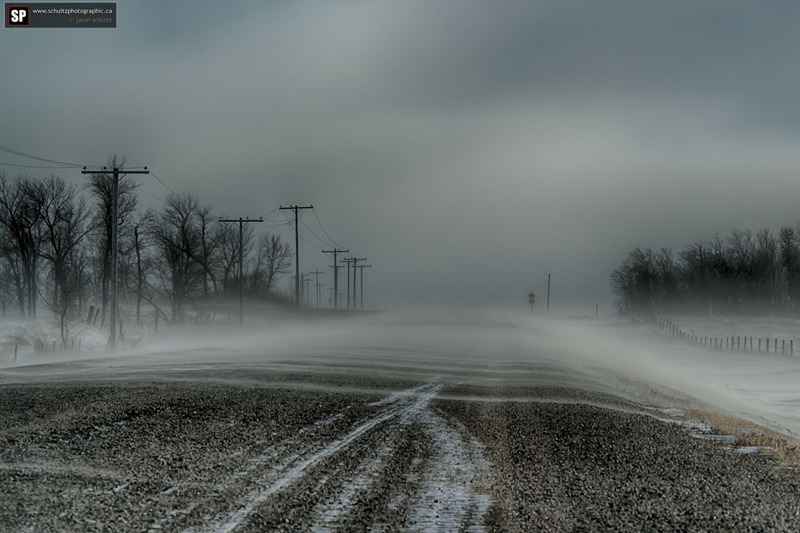 I wanted a slow shutter speed shot of drifting snow. But I realized I forgot my variable ND filter in my other camera bag. Doh. So HDR it was! I was watching Trey Ratcliff on Kelby Training and he had a really great camera tip for doing HDR. On the D800 (but possibly other Nikon bodies) you can set the camera up using the timer mode to automatically blast off a set of HDR exposures – without the use of an external remote. Sweet! One less piece of gear to haul. I was going to make a YouTube vid illustrating this, but another guy already did. I mentioned that he should rename the video the “Trey Ratcliff HDR Settings Tip” instead of the “secret setting”. hehheeh… 😎 But here it is illustrated perfectly. It’s a sweet tip. But I did get my drifting snow photo after all which was nice. The wind was absolutely heinous for the record. But anything for a photo, right? I would setup the camera in the truck, race out, blast off the exposures and run back in before I received any permanent bodily damage. Ugg… sucker cold! And one more shot for posterity. The tree from the first shot, single exposure. Just cuz. I like trees. 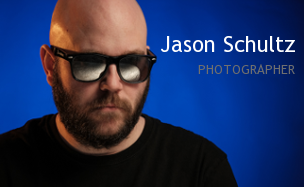 This entry was posted on January 26, 2014 by schultzphotographic. 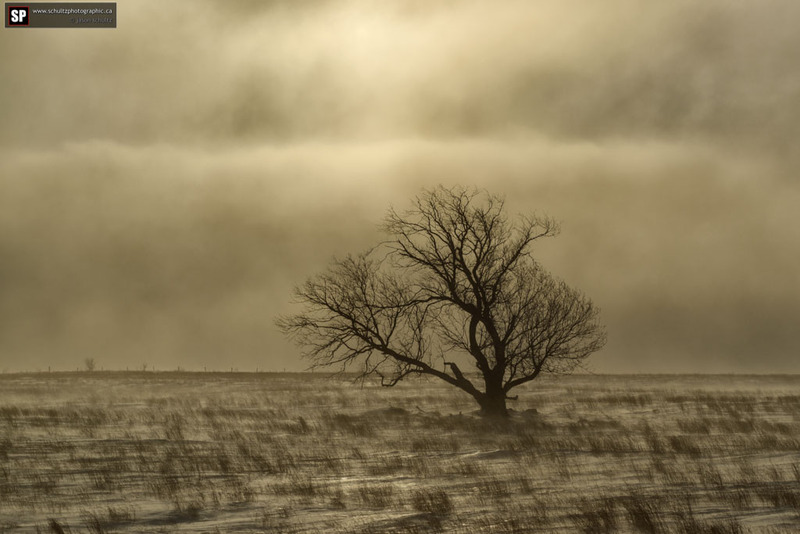 It was filed under HDR, Landscape and was tagged with Cool, D800, D800 tips and tricks, HDR, HDR Settings, Jason Schultz, Kelby Training, Photography, Saskatchewan, SchultzPhotographic, Trey Ratcliff, Trey Ratcliff HDR, Winter. I also am a fan of Trey’s and saw similar advice on one of his training videos, I think the New Zealand tour. Anyway the video left out one more step I think, I shoot a D7100 and there is another setting called exposure delay that helps eliminate mirror bounce, it delays the exposure for a moment after the mirror lifts to take the photo, added along with the self timer mode they combine for sharp images! True. I’ve found that the 2 sec. timer on the exposure delay is enough to settle the camera – especially in live view as the mirror is already up. However if composing the shot via the eye piece, the exposure delay option could be additionally helpful.